You love living in Kissimmee with its palm tree lined streets, vast entertainment options, and nearly continuous sunshine. When your air conditioning is not working properly or goes out entirely, you know you need the expert AC service Kissimmee relies on for cooling, soothing relief. 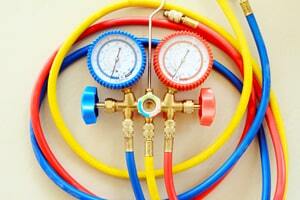 DC / AC Air & Heat has been the reliable, go-to AC service Kissimmee and surrounding areas have trusted for over 25 years. Highly skilled and adept technicians respond quickly to your request for help, easing your mind and bringing the expert AC repair Kissimmee trusts right to your doorstep. Once you call for service from DC / AC Air and Heat, the main things you’ll notice right away are our quick response time to do your Kissimmee AC repair, a professional demeanor and our consistent focus on excellence. We know what a challenge it is to be in a home or business with a malfunctioning AC unit or heat that doesn’t work. You want real relief, delivered quickly, especially with the high humidity often found in the central Florida area. Every one of our technicians is licensed, bonded and insured for your peace of mind. 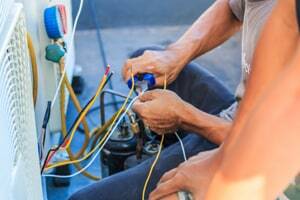 They are highly skilled and expertly trained in all the latest technologies for heating and cooling, and in all the newest methods for repairing all types and models of systems. If you need an entirely new system, our ace technicians can help you to make the best decision about the system that is perfect for your needs. Then, they will install the system to your satisfaction and go over all the nuances for operating the system in the most effective way. We know you’ll be impressed with our knowledge and with our focus on excellence. If you do need to have a new system installed, we think you’ll be pleasantly surprised by the advances made in today’s air conditioning systems. You may even find that the AC repair costs Kissimmee homeowners and businesses experience are brought down by having the latest technology expertly installed. 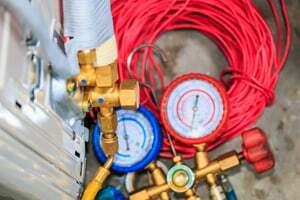 Your expert technician in the AC repair Kissimmee relies on will explain all the nuances of the system you’ve chosen, along with deciphering things like energy efficiency ratings, benefits, and how environmentally friendly your new system is. You’ll be able to relax knowing you’re most likely going to have a smaller impact on the environment with a brand-new system, and that you’ll leave less of a footprint. Being able to contribute to keeping the environment safer for future generations simply by choosing the professional AC repair Kissimmee trusts is always a good thing. We make every effort to choose systems that have the best impact on the environment and on your budget. The Kissimmee air conditioning repair residents and businesses have come to trust for exceptional results, expertly provided by DC / AC Air & Heat, keeps a single-minded focus on excellence. This is true of the experts we hire, the work we do, the professional installations of systems and every aspect of our business. You’re assured of complete satisfaction or we make it right. We have earned an A+ rating with the Better Business Bureau and we never rest on our laurels or take that for granted. We are pleased to have been named a winner in the 2017 Orlando Sentinel Best Bets as a Best AC Company. We receive honors like this in part due to the excellent feedback we receive from our customers. We receive our highest honor when our customers recommend us highly to their friends, family and co-workers. Our commitment to excellence means you get the best Residential AC repair Kissimmee FL can find, and top-quality AC repair for local businesses.